Harold A. Pollack Ph.D., M.P.P. Award Year: 2011 This project explores the accomplishments and shortcomings of the American medical welfare state in assisting individuals and families affected by intellectual disabilities. To highlight the specific policy challenges posed by different disabilities, the project focuses on three common genetic conditions associated with intellectual disability: Phenylketonuria (PKU), Down syndrome, and fragile X syndrome. The project has two intertwined strands. The first addresses the social insurance structures required to provide income security and to support important services. Intellectual disability provides a novel lens through which one can see unexpected accomplishments and the shortcomings of the American welfare state. The second strand concerns service delivery and addresses how American medical care and social service systems are now unprepared to address central challenges in this area. Some systemic challenges reflect weaknesses in public financing structures while others reflect organizational shortcomings of medical, social service, and educational systems which are poorly matched with the specific challenges posed by intellectual disabilities. Harold Pollack is the Helen Ross Professor of Social Service Administration at the University of Chicago. 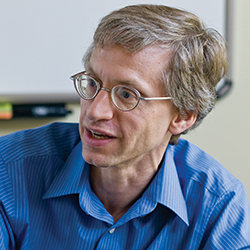 His recent public health and economic policy analyses have appeared in JAMA, Addiction, Pediatrics, Health Services Research, Health Economics, Medical Decision Making, Health Affairs, and other leading publications. He has been appointed to three expert committees of the National Academies of Science. A nonresident fellow of the Century Foundation, Dr. Pollack served as a special correspondent for the New Republic, and has published essays in The New York Times, Washington Post, Los Angeles Times, American Prospect, and other leading publications. In 2009, his essay "Lessons from an ER nightmare" was selected for the collection Best American Medical Writing. He received his masters and doctoral degrees in public policy from the Kennedy School of Government at Harvard University. Pollack, H.A. Health policy and the community safety net for individuals with intellectual disability. Developmental Disabilities Research Reviews, 2013; 17(1):44-51.